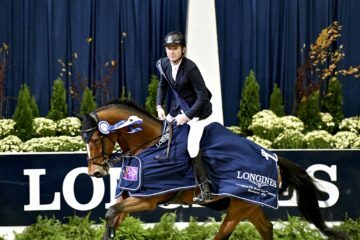 What began as just a “What if?” thought in Oliver Kennedy’s mind in 1993 has grown into one of the country’s preeminent horse shows and a fixture on the fall indoor calendar. On September 28-October 7, 2018, the Capital Challenge Horse Show is celebrating its 25th anniversary as a destination show for top hunter, jumper, and equitation riders. 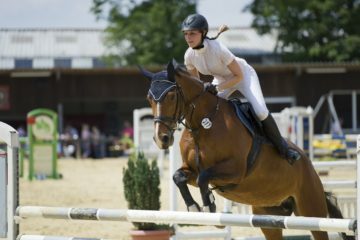 Professional, amateur, junior, and pony riders will travel from all over the country to the Prince George’s Equestrian Center in Upper Marlboro, MD to compete in highly competitive divisions and the year-end finals they’ve worked to qualify for all year. Capital Challenge also plays host to the popular World Championship Hunter Rider (WCHR) Finals. 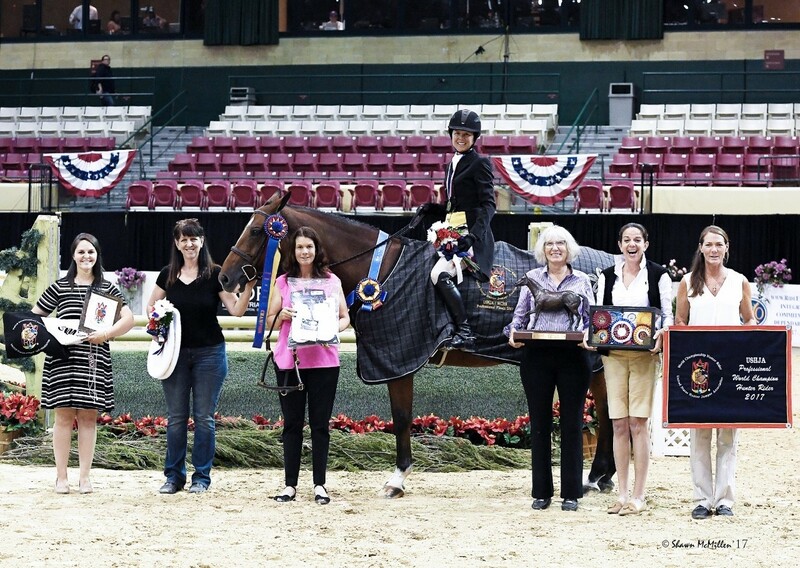 The WCHR program puts the spotlight on the horses and riders of the hunter divisions unlike any other horse show. 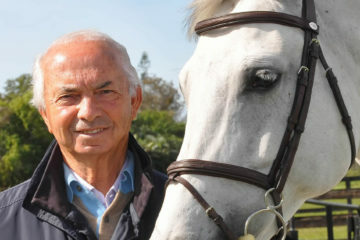 In fact, two of the extremely rare hunter scores of 100 were achieved at Capital Challenge. In 1997, Rick Fancher and Osczar scored the first 100 awarded in a numerically scored class as they competed in Capital Challenge’s regular working hunter division. Then in 2003, Shachine Belle and In Disguise also earned an honorable score of 100 in a class in the second year green hunter division. The combination of the WCHR and Capital Challenge was created when then co-show managers Oliver Kennedy and Billy Glass approached Louise Serio of the WCHR with the idea to build Capital Challenge around the WCHR program. “We created all of the WCHR Challenge Classes that they never had,” said Kennedy, referencing the special, year-end classes for riders in each WCHR category—amateurs, adults, juniors, children, ponies, developing professionals, and professionals—who qualify throughout the year to compete. “Billy and I lost a lot of money the first year we did it, but we knew we had a hit! Everybody loved it; they had a great time, and we knew that if we survived that first year, things would work out. Riders in each division show at specific WCHR-designated shows throughout the year, with the points they earn from their placings counting toward year-end standings. They then have a chance to qualify for the WCHR Challenge class in their division. The qualifying races are hotly contested, and a ribbon in the Challenge classes is a coveted prize. 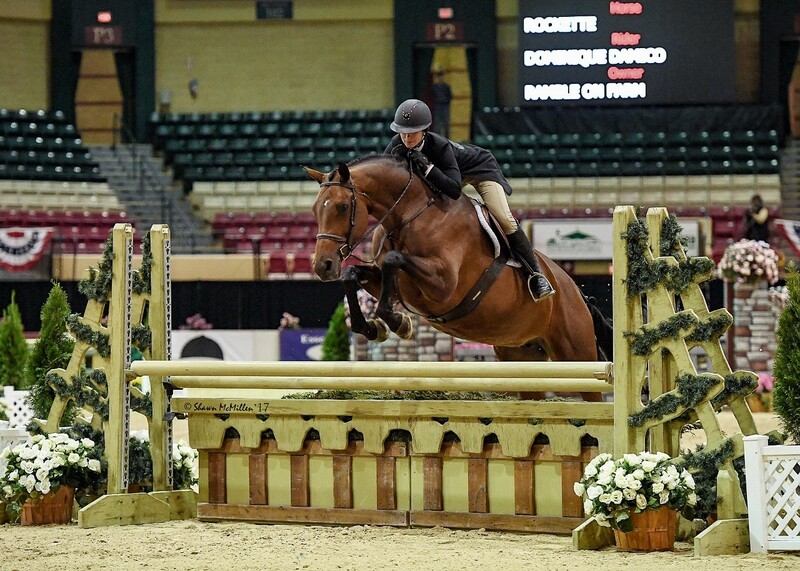 One of the spectator highlights is the $25,000 WCHR Professional Challenge, where the top-ranked pro riders go head to head on some of their best hunters. And in the amateur-owner, adult amateur, junior, children’s, and pony riders challenge classes, riders from each age bracket and pony or junior hunter height division compete against each other. 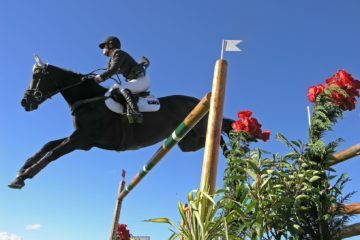 Capital Challenge is also the only horse show where fans can see top hunter riders catch-ride on their way to a title. 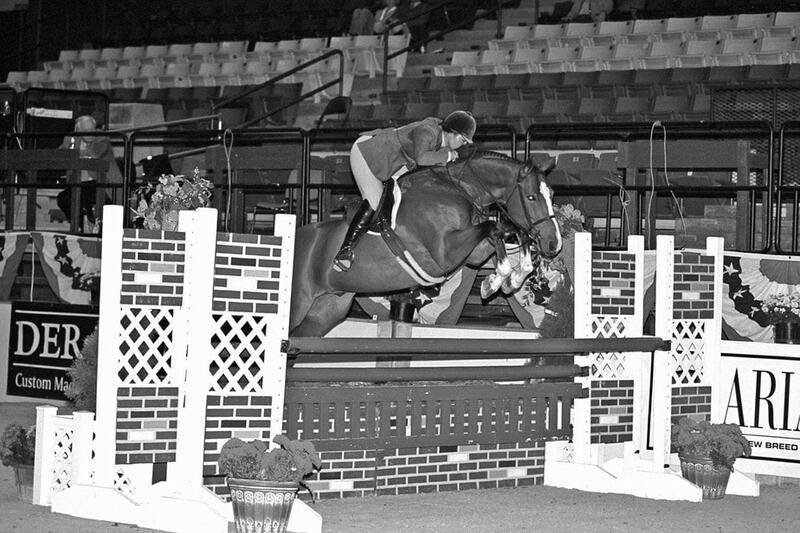 The ever-popular WCHR Professional Finals have a unique Final Four format where the highest-scoring four pro riders, ranked after the first two rounds of the WCHR Professional Finals, jump four rounds on unfamiliar horses. In the Final Four, riders start on a clean slate of scores and ride horses provided by the show over four different courses. They’ll rotate through the roster of horses, earning a score on each, and the highest total score at the end of the evening wins the WCHR Professional Finals. This year, the Professional Finals continue to evolve, with $10,000 in prize money. Capital Challenge is also one of the few horse shows that really focuses on developing future stars of the sport. 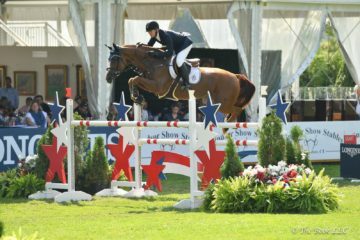 Kennedy and Glass listened to what exhibitors wanted, and one prominent request was more opportunities for young talent—both equine and human—to grow and shine. Now on the schedule, the Developing Pro Challenge helps draw attention to the future star riders and the Green Hunter divisions spotlight young equine talent, which culminate in the $25,000 Green Hunter 3’ and 3’3” North American Championship. There were more than 150 horses jumping in the 3’ and 3’3” Green Hunter divisions at the 2017 Capital Challenge. 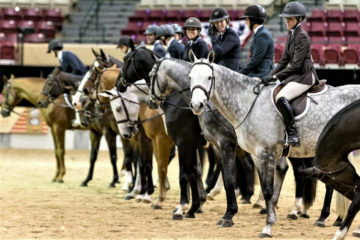 The first weekend of the show is devoted to equitation classes with multiple feature classes for riders of all levels. Junior competitors will take to the ring for the Palm Beach International Academy North American Junior Equitation Championships, the Taylor Harris Insurance Services National Children’s Medal Finals, and the return of last year’s exciting new addition, the 3’3” USHJA Jumper Seat Medal Final – East. For adult riders looking to excel in equitation, Capital Challenge offers the North American Adult Amateur Equitation Finals and the ARIAT National Adult Medal Finals. Both are much sought-after titles. This year, the Low Junior/Amateur-Owner Jumper division that debuted last year will also return to join the Children’s, Adult Amateur, and Medium Junior/Amateur-Owner classes. Kennedy now manages the show alongside JP Bordeleau, after Glass retired in 2016. Together they’re guiding the show into the future—developing and innovating atop Capital Challenge’s 25 years of tradition. “There’s something about being lucky enough that you’re in the right place at the right time and destiny kind of takes you somewhere,” said Kennedy. Learn more about Capital Challenge at www.CapitalChallenge.org.